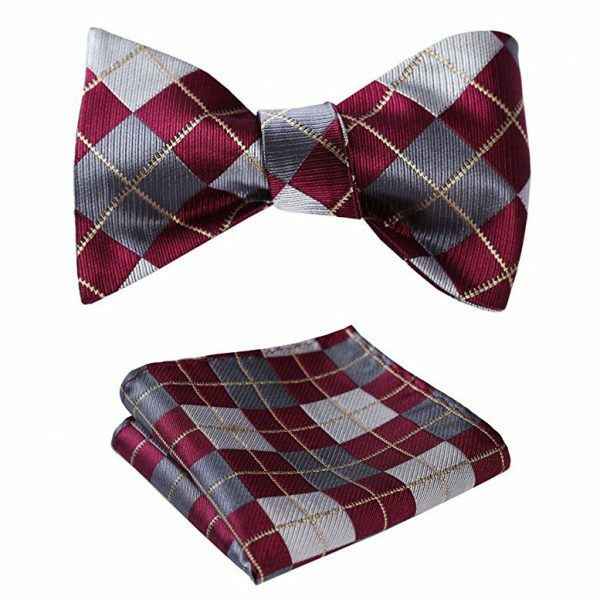 Adding some style and class to your wardrobe has never been more affordable than with this beautiful self-bow tie and pocket square. 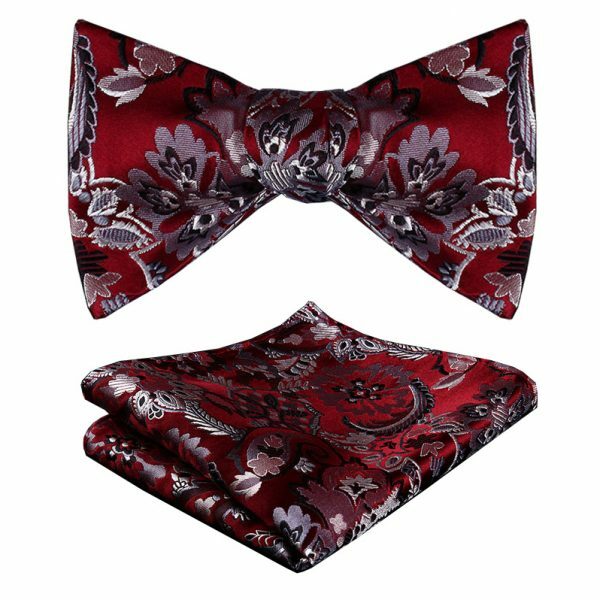 This masculine burgundy and black floral bow tie set is the perfect addition to the gentleman’s accessory collection. 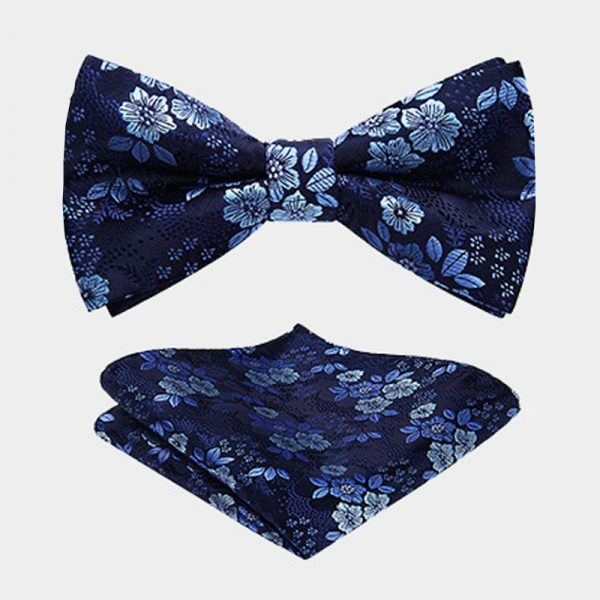 Whether you want to wear it all the time or just for that special occasion, this floral bow tie set makes quite an impression. 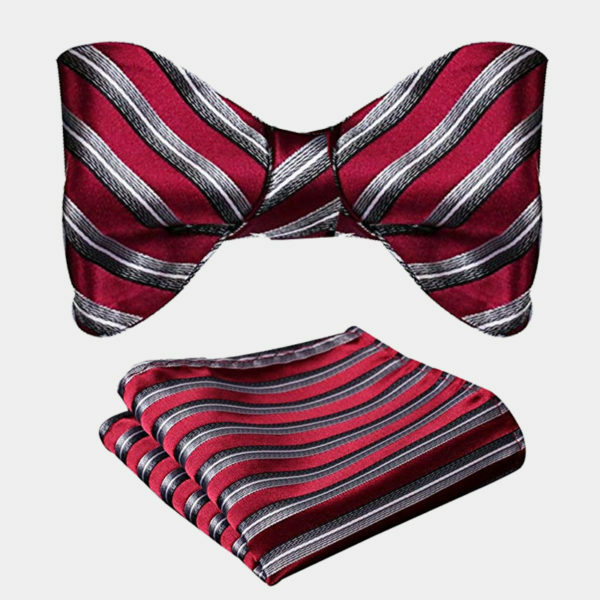 This black and burgundy floral bow tie set is the perfect addition to your everyday business suit or formal wear as well as elevating your casual attire. 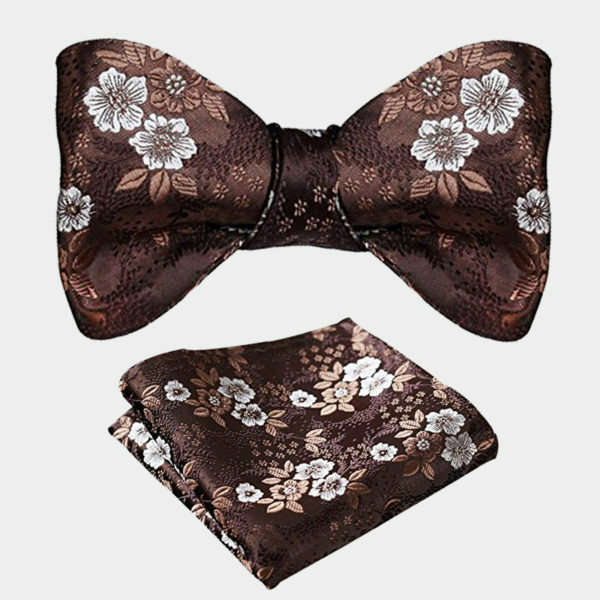 This elegant burgundy and black floral bow set will make adding some unexpected sophistication and flair to your ensemble easy. You can instantly add color and interest to your accessory collection with one of these beautiful sets. 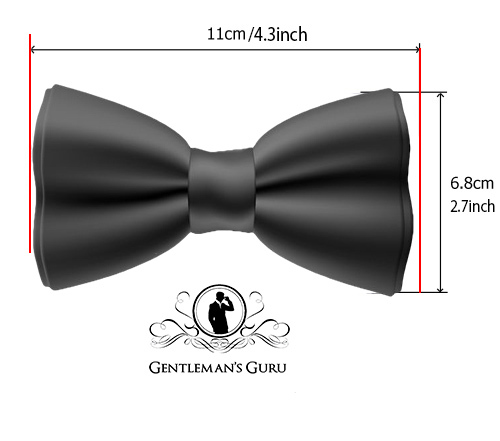 Handmade from 100% pure woven silk, this stunning set includes one self-tie bow tie and one matching pocket square. The intricate floral pattern comes in colors from bright and bold to subtle and muted as well as resists fading. Beautiful product. Timely delivery. Thank you.